The community had unique architecture which changed through the building of the community as tastes changed and the energy crisis made building homes more expensive than anticipated. The neighborhood started out with two series of homes that tried to replicate the styles of Mission Viejo California The La Paz and Granada series. Soon more economical styles were introduced all exhibiting less California influences. The Mission Viejo Company would go on to build all the major areas of Mission Viejo expect the Quincy Creek subdivision, Southlight and French Creek being instead master planner but not master builder. A strategy that they perfected with the building of Highlands Ranch in Douglas County. Mission Viejo Company also set up a special Home Decorating Center in the neighborhood. Located next to the recreation center, it was staffed with home designers who met with new home buyers to purchase "designer items" seen in the show homes as well as to identify and schedule carpeting, flooring, counter tops and wall/window coverings to help customize each new home. 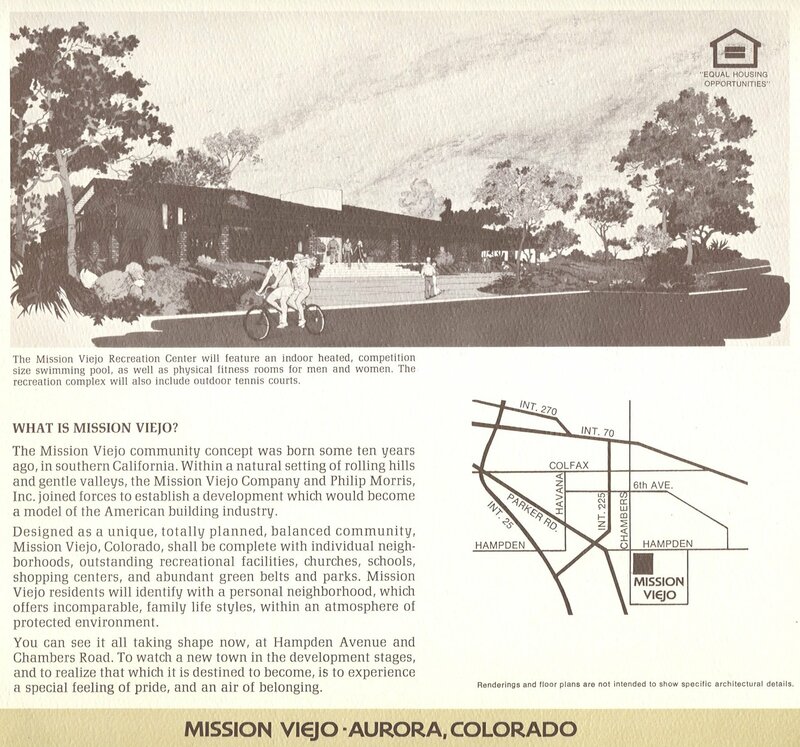 The center was used throughout the building of the neighborhood and was still operational during the first phase of construction for Highlands Ranch. Additionally the Mission Viejo Company built and designed the Seville Townhomes, the Valencia Duplexes Townhomes, and the Cherry Glen Townhomes.